SACOG’s Communications team keeps local governments, policy makers and members of the public informed with a variety of publications and other tools. Information about specific programs and projects is regularly communicated through news releases, publications and community outreach. SACOG encourages robust public involvement in all program areas, from the earliest planning stages to implementation of specific solutions. All SACOG meetings and hearings are open to the public. Find out how to Get Involved! 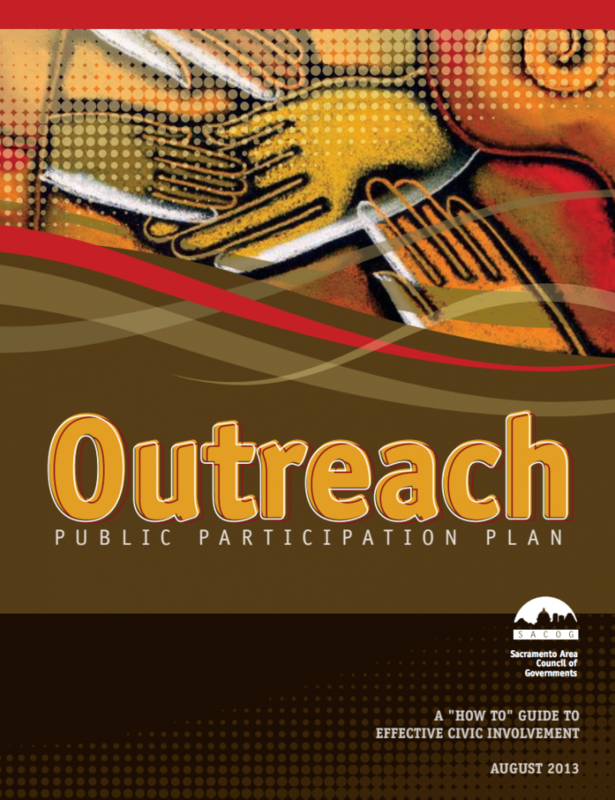 Public participation is a critical part of SACOG programs and planning activities. SACOG actively seeks opportunities to ensure and encourage robust public involvement in all program areas, from the earliest planning stages to implementation of specific solutions. All SACOG meetings and hearings are open to the public. SACOG is committed to involving all segments of the community, including those with disabilities. The agency fully complies with the Americans with Disabilities Act (ADA) and accommodates the disabled at all public meetings and hearings. All literature and written materials are made available in alternative formats to those with special needs upon request. Please contact accessibility@sacog.org or call (916) 321-9000. All meetings of the SACOG Board of Directors, policy committees, advisory committees and ad hoc committees are open to the public. Participation is encouraged. To stay current and up-to-date on SACOG’s projects, activities, and events sign up to receive agenda notifications. Information about policy committees, advisory committees, and ad hoc committees is available on line or by calling SACOG. Another way to be involved is to provide comments during the time period when plans or programs are available for public review. SACOG welcomes comments and questions. If you know the staff member you would like to contact please visit our Staff Directory for email addresses and phone numbers. If you’re not sure who to contact please complete our Comments Form and your question or comment will routed to the correct staff member. 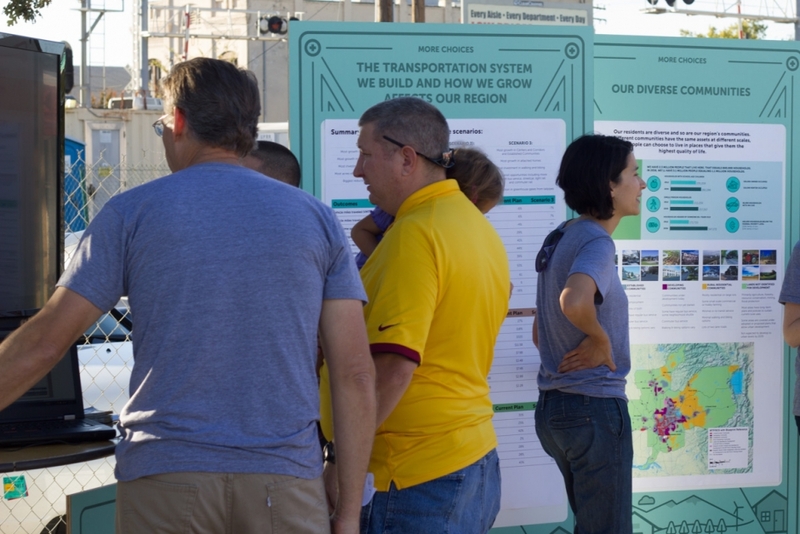 This Public Participation Plan is designed for SACOG staff, elected officials, and most importantly the public to understand the specific activities SACOG is committed to for different types of plans and projects. State and federal regulations spell out some requirements that must be met, but there are also many optional activities that SACOG regularly performs. This program reflects the commitment by the Sacramento Area Council of Governments (SACOG) to comply with Title VI of the Civil Rights Act and to ensure that no person shall, on the basis of race, color, or national origin be excluded from participation in, be denied the benefits of, or be subjected to discrimination under any program or activity provided by SACOG. This program reflects the commitment by the Sacramento Area Council of Governments (SACOG) to comply with Title II of the Americans with Disabilities Act of 1990 (ADA) and to ensure that no person shall, on the basis of disability be excluded from participation in, be denied the benefits of, or be subjected to discrimination under any program or activity provided by SACOG.